Quite a few years back, I was bitten by the keyboard bug, probably starting with The Keyboard Cult post by Jeff Atwood. Before that, like everybody else, I simply bought the cheapest keyboard I could find – it was way more important to spend the extra money on a faster CPU, or a bigger hard drive. But as the years wore on, and I racked up hundreds of thousands of keystrokes, I started to feel that the standard keyboard was both a bottleneck and a source of pain. I began my journey on the path to keyboard enlightenment with the Microsoft Natural 4000 keyboard, which was great and served me well for years (I still have a backup brand new-in-box). It was very nicely ergonomic with the split design and the contoured layout, but still used the standard membrane mechanism (membranes give the keys a “squishy” feel and the travel/response is generally unpleasant). For my next keyboard, I wanted to take the plunge with mechanical keyswitches, so I tried the Corsair Vengeance K70. 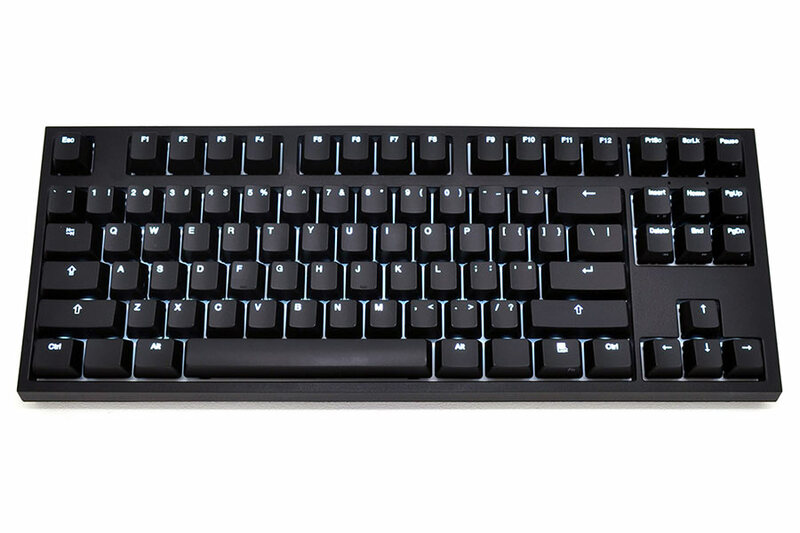 This keyboard had Cherry MX Red mechanical switches, and while it was better than the membrane, it wasn’t my cup of tea – the Reds have a linear travel with no tactile bump, and on this keyboard, made an audible click every time you bottomed out the keystroke. It was also a full-sized keyboard with a numpad. I started to dislike the numpad, because even though it was incredibly useful at times, for the most part it’s just more distance to cover on my way to the mouse. My second attempt at a mechanical keyboard was the CODE keyboard. Instead of the linear travel of the Reds, mine has Cherry MX Clear switches, which provide a nice, tactile feel (bump). That bump provides better and more consistent feedback for your fingers, allowing you to gauge the depth of the keystroke. Subsequently I was able to type better and more comfortably. Also, I got the “tenkeyless” model which omitted the numpad and made for easier and more comfortable mousing. Although I enjoyed using the CODE keyboard, I missed the split layout and contoured ergonomics of the MS Natural. 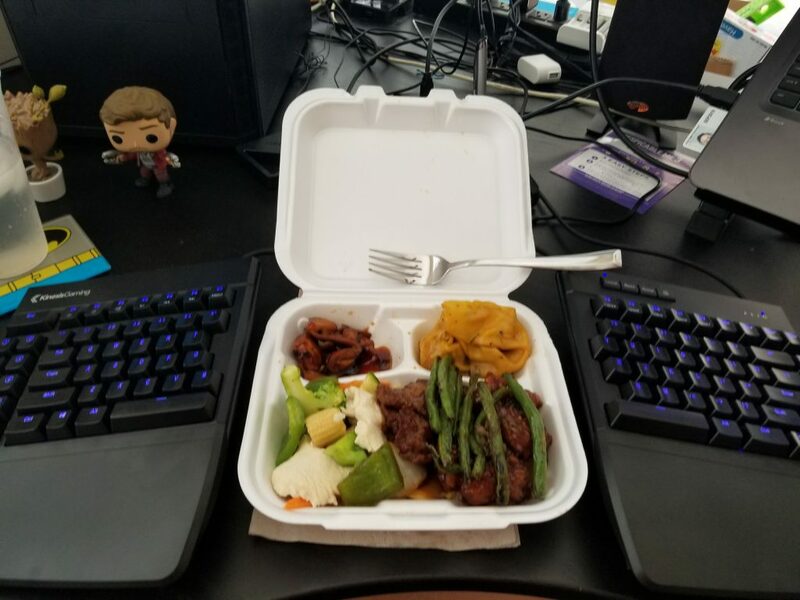 On top of that, time (and weightlifting injuries) have taken a toll on my body and having a standard-sized keyboard aggravates my bum shoulder. Which brings me to today’s topic: my review of the Kinesis Ergo Freestyle Edge. So a month ago, when the Cherry MX Brown configuration finally got back in stock, I decided to try the Freestyle Edge. I bought this unit off Amazon and Kinesis did not provide me anything for the review. I’ve been typing and developing software since the 6th grade, so I’ve become a very fast typist. According to an online typing test, I averaged 95 wpm with the CODE keyboard, and 90 wpm with the MS Natural. In my first hour with the Freestyle Edge, I averaged 85-90 wpm. In my opinion, as long as you have the right techniques to begin with, the Freestyle Edge shouldn’t slow you down much, if at all. After only a week of using it, I was consistently at 90 wpm. 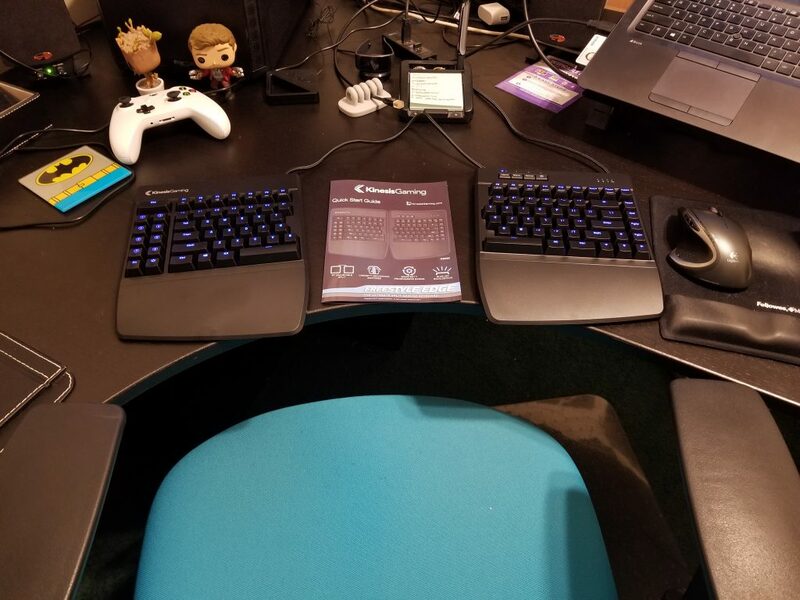 With the split and tented keyboard configuration, my shoulders, arms, wrists, and hands are now in perfect harmony. 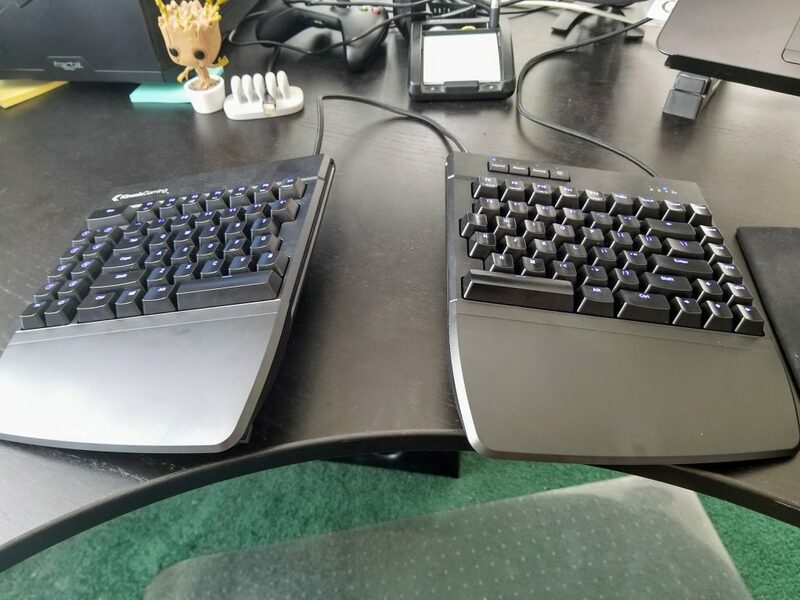 My shoulders are not drawn in, my forearms align nicely with the armrests, and my wrists are in a comfortable, less-pronated position, compared to how they would be with a flat keyboard. The keyboard is easily re-mappable, thanks to a built-in USB drive that contains their mapping software. The software is really just a UI for a text file, so it shouldn’t matter which OS you have. For those decrying the lack of a numpad, you can remap the function layer and recreate the numpad on the right hand home-row. For the usual FPS gaming, you can move the right half the keyboard up and out of the way, and simply use the left half and the mouse. Pretty cool trick, as long as you don’t have to actually type anything. 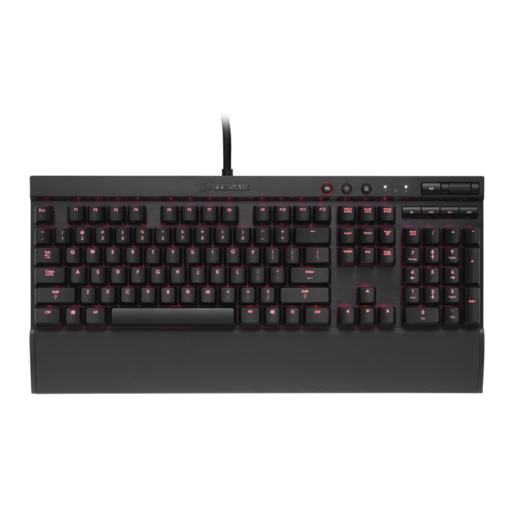 Navigation cluster – Kinesis decided to make the right side of the keyboard shorter, which lessens the distance the right hand has to travel in order to use the mouse, by about 2 inches (compared to a standard tenkeyless). In order to do that, they scrunched and rearranged the standard cluster of insert/delete, home/end, and pageup/down into a single column. Moving insert/delete away is not a big deal, but having home/end and page up/down in a single column plays havoc with my muscle memory. In a standard cluster you can easily tell which key is which by the spacing – and that is no longer possible in this design. While I appreciate the shorter hand movement distance, this has drastically slowed down my ability to navigate around text. Escape – Is no longer aligned with the tilde/tab/caps/shift/ctrl keys – instead it is an inch over to the left, and double-sized. This is just ridiculous and confounding to me. Function keys – Because the escape key has moved, all of the function keys have shifted to the left as well. This is maddening, because I frequently use these keys (esp as a Visual Studio developer) and they are so far left of my muscle memory I am always hitting the wrong one (and perhaps triggering the wrong function!). Just like with the navigation cluster, there are no physical clues that can tell you which key you are pressing without having to look at it. LED backlight – This is just okay, but kind of a miss in my opinion. I’m not a fan of the blue, in either the shade or the levels of intensity. While the “breathing” mode looks kind of cool, it is still way too bright for me. But ultimately, these issues aren’t deal-breakers for me and I am still happy to use this keyboard as my daily driver. Remap the F1 key to Escape – it’s in the right spot, and when’s the last time you actually meant to hit F1/Help, anyway? Remap the function layer to mimic the numpad when necessary – I thought I could remap the right-hand home row to mimic the numpad, but I still can’t get used to it and find the standard touch-typing method faster. But it’s worth looking into if you are a regular numpad user. Practice, practice, practice – it’s the only way to get used to the navigation cluster. Built-in pointing device – Build a trackpad or a pointing stick into the right half! This would nearly eliminate the need to move my right hand off the keyboard, and would be a huge time-saver. 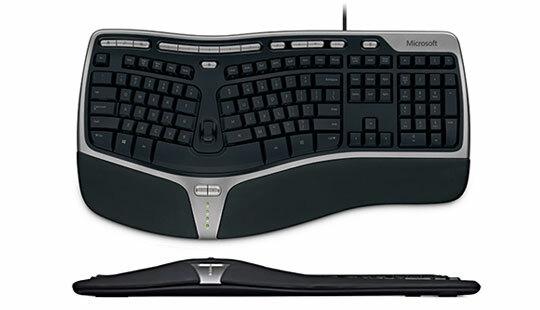 This would be the biggest gamechanger, and the IMO ultimate ergonomic design. 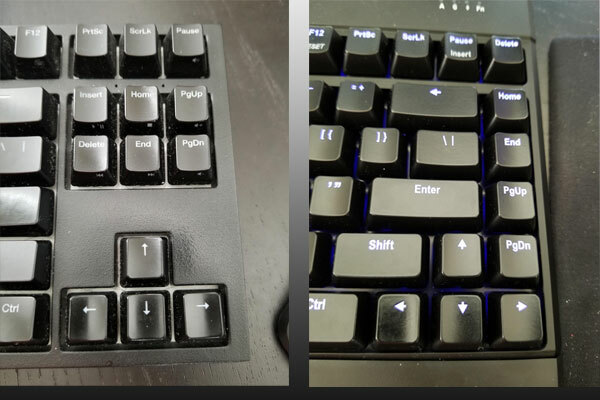 Per-keypress backlighting – This would just be a cool feature: when a key is pressed, have the backlight come on, then fade out over time. Perhaps a simple firmware update? Breathe backlighting limited by configurable max brightness – The breathing LED mode looks great, but it needs to be limited to the configured brightness, instead of ramping all the way up to 100%. Perhaps a simple firmware update? This entry was posted in Reviews and tagged keyboards, kinesis by Phil Chuang. Bookmark the permalink.